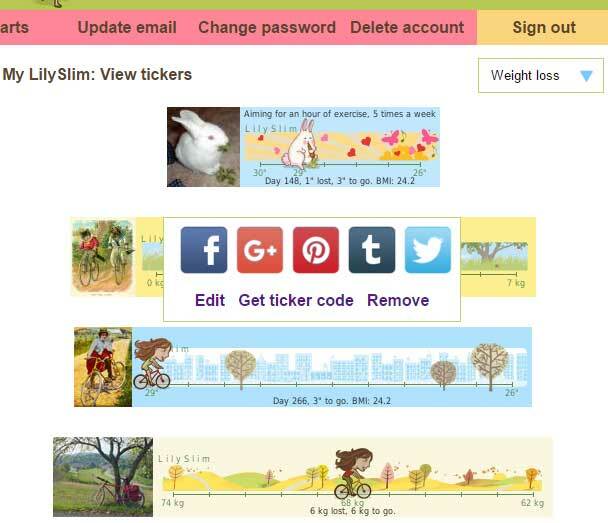 More tickers on our sister sites: Lilypie, Daisypath and PitaPata. 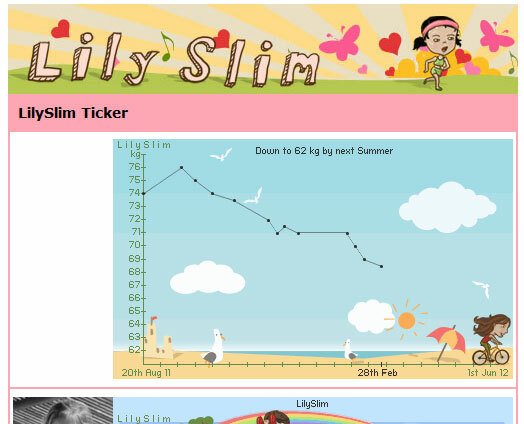 For people with Facebook Pages, I have updated the LilySlim app on Facebook to include Page tabs. LilySlim Page tabs can be added to any Facebook Page that you have admin rights to. Facebook Pages don't include your Home page or personal Profile, they are generally created for organizations and shared interests. More about Pages on Facebook. 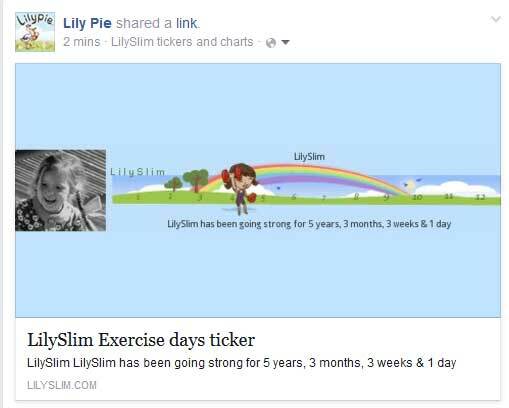 For instance, if your Weight-loss group, friends or extended family have a Facebook Page, you can each add tickers to a LilySlim page tab. The tickers are sorted so that the next event or most recently updated are always at the top of the Page tab. How to add a LilySlim Page tab to your Facebook Page.